Today we begin our Sunday School 2014 coverage! I wanted to use this first post to highlight the cars that were a part of our group, as a thank-you to everyone who came with us. When all was said and done we had 16 cars representing ThreeTwenty and MacKenCo; twice the number we had last year. It wasn’t the largest group that day but we weren’t trying to be. Seeing that our friends were willing to join us and help out was very appreciated. Leading up to the big day we had a lot of details to look after to ensure everything was ready in time. Some of us were fitting new parts, we had to coordinate with everyone so that we all arrived together, a couple of drivers had to be found to bring vehicles down for us, and there were also a lot of decals to finish up in time both for ourselves and others. Like we usually do when we attend shows together, we designed some commemorative decals to hand out to everyone. The night before the show Derrick and Kanji helped get those ready for everybody which I am grateful for. Additionally, as some know we also had keychains made up (which will be live in the store soon) and the first ones were handed out along with the commemorative decals as a small thank-you for attending with us. There were times when I was convinced something was going to have to be omitted from our plans but everything eventually came together and seeing it all set up the morning of the show was the reward for all of our hard work. Everybody worked together and helped each other out, and despite how hectic it seemed at times it actually all ran rather smoothly as we quickly got the cars and tent set up before the crowds arrived. Our group took up an entire row and then some, and had a pretty good assortment of vehicles. Starting at the far end of the line we had Solomon’s matte silver E90 330. Originally a black car, he decided to wrap it last year for winter and I’m glad to see he kept it on. One of his most recent updates was the M3-style bumper replacing his original bumper and aftermarket lip. Our own Mr. Hugo had his 1974 Celica on display, sitting a little lower this year and showing off a Speedhunters tow strap. One of the oddities in the group (even I admit it!) was my old Grand Prix. Since I was driving the Focus we had to find another driver to take the Pontiac and the night before the show we finally did. I didn’t think it’d be attending the event this year but fortunately it was able to. I don’t take it to many shows or meets anymore but I like to bring it to Sunday School at least so it gets out for something. Next up was Kanji’s slammed BRZ. 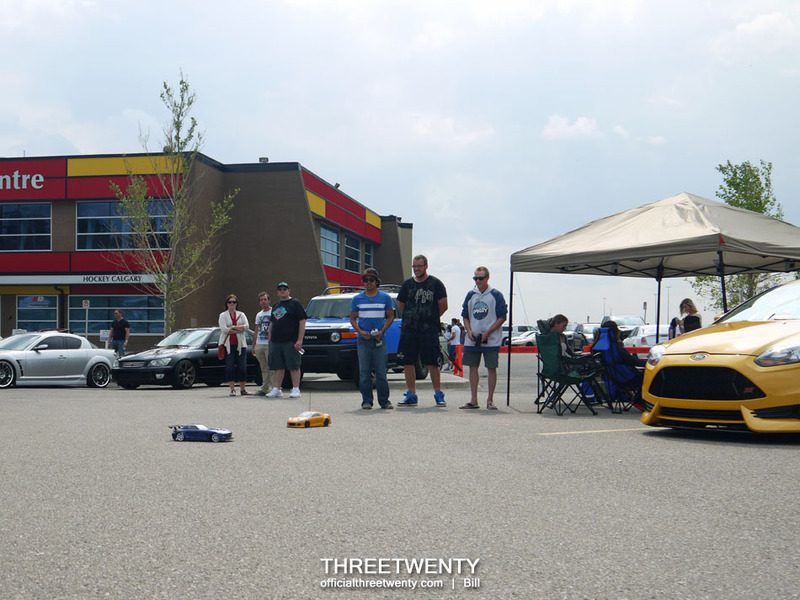 The ThreeTwenty banner across his windshield was actually applied during the show as that was the only time we had to do it – it wouldn’t be a car show without last-minute prep, now would it? The Acuras were next in line, with Dave’s RSX-S sporting a new retrofit. He hasn’t had too much time to work on the new car yet but it’s starting to progress and become recognizable as his. 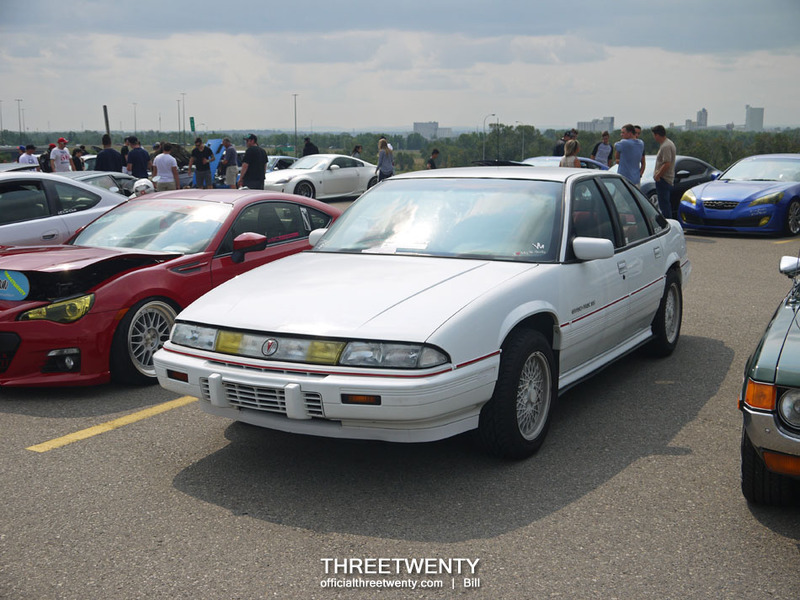 Beside him we had Shane’s boosted Integra showing off a very clean bay despite the added turbo hardware. I really like the remote terminals mounted where the battery once sat. Last year I did a quick spotlight on Alex’s FR-S after he had just bought it, and since then it has been treated to new wheels, tail lights, a lower ride height, and yellow-tinted headlights among other updates. I had wanted the BRZ parked next to it but someone refused to do so (you know who you are! Haha). Derrick’s Camaro always looks mean and is a consistent head-turner. I remember the first year we attended Sunday School (before ThreeTwenty existed) it was just him and I with three cars between us. The three blue cars wound up being parked together, with Guy’s slammed Fit showing off new Buddy Club wheels. Another member for the white wheel crew! Beside that was Richard’s supercharged (!) Yaris. I bet this thing is a ton of fun to drive. Don brought Captain Slow, his Golf R. Clean and simple – and the roof box came in handy as you’ll see in a bit. The oldest vehicle in the line was a ’67 Thunderbird that some have seen at a few Beyond meets this year. It actually belongs to my mother! Mine isn’t the only Ford project car in the family. The rest of the vehicles after the Thunderbird were all Foci. Ian brought out his V6-swapped Mk1…what is it with Focus owners and white wheels? 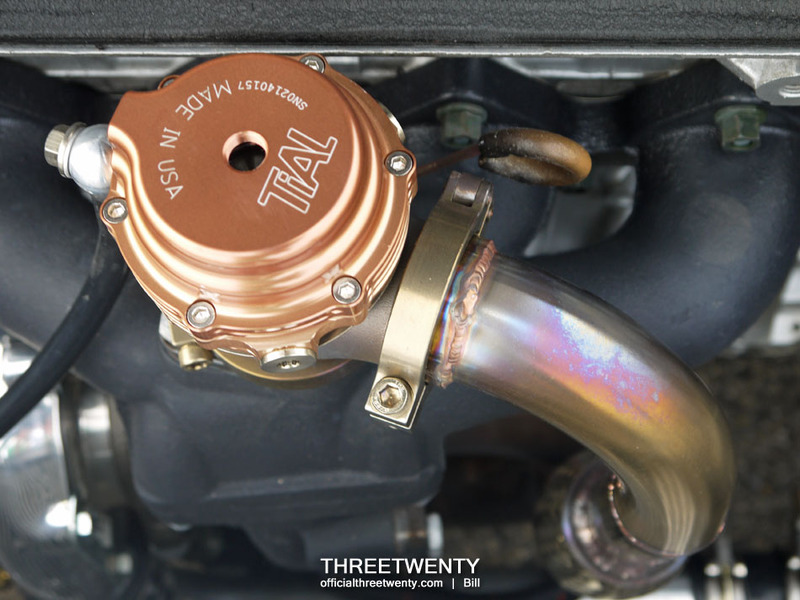 Brandon had his Mk3 ST with a newly-installed Injen intake. …and the last two were Mario’s ST and my SE. Last year Mario had a Minion in the driver’s seat and this time Ted was surveying the scene from the sunroof. Taking notes from the previous shows, we made sure that this time around we would have plenty of food and drinks to keep us going, and Don kindly provided his Golf’s roof box as a temporary fridge for us. Draining the water later on wasn’t the most graceful procedure but I like this concept! …although not all of the drifts were kept under control. Nothing a gentle kick couldn’t fix. That’s all for today – part two will start to show some of the rest of the vehicles on display. There were so many we couldn’t get a shot of every single one but we tried to capture a variety to give you a feel of the range of makes, models, and styles present. Remember to check ill.motion for their photos as well! Previous Post Previous post: Support Print!